Not everyone who takes drinks becomes a confirmed alcoholic. However, it cannot be determined in advance who will and who will not. 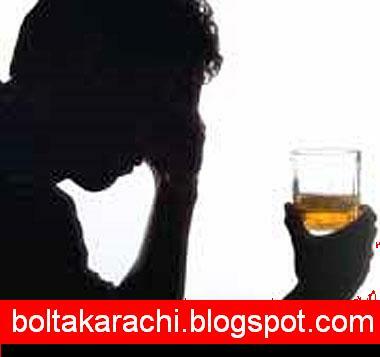 Alcoholics are defined as those who have become victims of their habit of drinking to the extent that their lives are dominated by their desire for liquor. It is, of course, in this group of persons that the most serious complications of the use of alcohol occur. In cases of prolonged use of alcohol, there develops a gradual deterioration of the brain tissues with various manifestations of mental illness. As we review this recital of the damage that alcohol does to the organs of the body and, especially, to the brain, we marvel that anyone who has ever used alcohol could be tempted to drink again. The explanation is that the desire for alcohol is promoted by its psychological effects. These persuade a person to continue drinking I spite of the unfavorable effects on the functions of his body. Attempted cure of alcoholism is often disappointing because the continued use of alcohol rests on a psychological foundation. The drinker is self deceived in that he feels strong when he is weak, warm when he is cold, adequate when he is a failure, and secure in spite of his insecurity. Ehen deprived o alcohol; he must face an unpleasant reality which has been made even worse by alcohol. So he continues to drink. The only successful way to help an alcoholic is to bring him to a willingness to face reality squarely. Drinking is a habit that gains strength from the effect of the alcohol I n providing apparent temporary release from the obligations and frustrations of life. As in breaking any habit, a strong determination is required. Al alcoholic can stop drinking if he really desires to. Typical of his attitudes, however, is a weakness of purpose. In spite of good motives, he gives in easily to the temptation to take another drink whenever the going becomes hard. One of the most successful programs for the help of alcoholics is that provided by Alcoholics Anonymous. There is a chapter of this organization in almost every city, and the members are ready to help persons who sincerely desire to discontinue their use of alcohol. The success of Alcohols Anonymous rests on sound psychological and religious principles. Also, the member of the organization take a personal interest in every new member. This element of comradeship helps the struggling alcoholic when tempted to drown his disappointments and discouragements in another drink.. The same principles of encouragement, of reliance upon divine aid, and of stability through comradeship can be used by anyone who desires to help a friend or relative overcome the habit of drinking. Perhaps the greatest service anyone can render to the family, to the community, and to the nation, however, in combating the evils of alcohol, is to promote constantly the benefits of abstinence. Only as persons refrain from alcohol by refusing to take the first drink can they be confident of freedom from the physical illnesses, the mental slavery, and the destruction of personality which follow in the wake of this indulgence.